Georgia recently returned home from a wonderful trip to Costa Rica to volunteer at the turtles project. Here is what she got up to. “As a volunteer, I patrolled beaches at night, waiting for and observing females nesting. I recorded information on the turtles, such as shell length, whether they were tagged, amount of eggs laid and the sector in which the turtle had nested. I collected eggs once laid and transported them to the hatchery. During the day and night I checked the hatchery for any hatchlings and released hatchlings safely into the sea. I also observed excavations during the day. I feel as though I have contributed to this project. I have certainly improved my knowledge on the Olive Ridley turtle, the threats associated with sea turtles and the exceptional hard work that goes in to protecting this beautiful species from extinction. 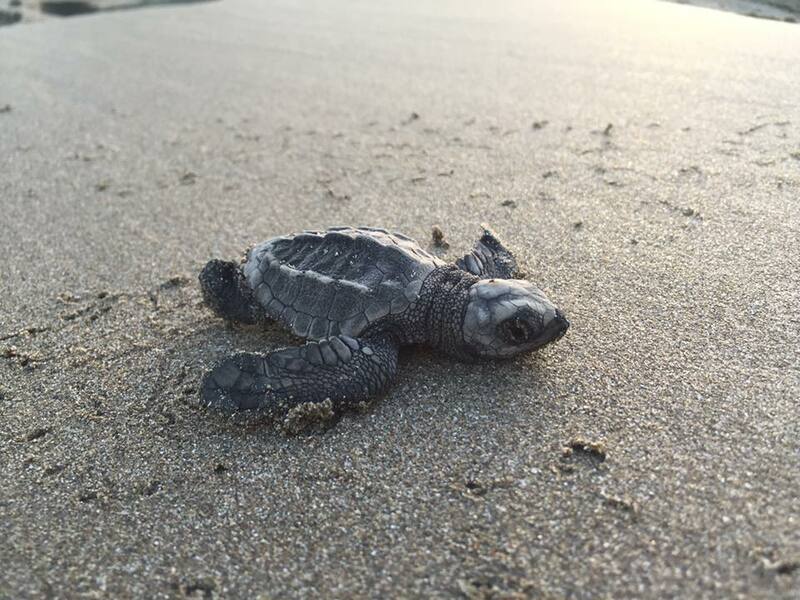 I definitely feel that I have made an impact on the conservation of the Olive Ridley by protecting eggs and releasing hatchlings safely, this felt very rewarding and it is a wonderful feeling knowing that my help has made a difference. I took part in beach clean-ups, an activity that is mostly spread across the whole beach to clear any rubbish that has washed up to shore. This activity also feels very rewarding as my help is lessening the risk of animals becoming harmed by rubbish within the sea or along the beach. Thank you to Georgia for sharing her experience. If you would like to get involved in our Costa Rica turtles programme just complete the online application form. Previous Post ﻿What can be gained from service learning?